MUNICH -- BMW forecast it would reach its target of annual sales of 2 million cars four years earlier than planned. BMW delivered 1.67 million cars last year. The automaker expects to surpass the 2 million vehicle mark in 2016, including its Mini and Rolls-Royce brands, without profitability suffering as a result, the company said today at its annual press conference. Pretax profit this year will probably beat 2011's 7.38 billion euros ($9.72 billion), the company also said. "We are targeting new highs in sales volume and pretax earnings for 2012," CEO Norbert Reithofer told reporters today. "We are off to a promising start" with car sales in the first two months of the year at an all-time high, he said. To accelerate growth, BMW aims to expand its reach further into emerging economies, coining the term "BRIKT" markets for Brazil, Russia, India, South Korea and Turkey. BMW does not include China among the list, since it already sells more cars there than in any other country except the United States and Germany. "2012 will be a decisive year for the further internationalization of the BMW Group," Reithofer said. "We are increasing our production capacity in China, the USA, South Africa and India, while at the same time evaluating potential production locations in the BRIKT markets." BMW plans to build a new factory in Brazil and will add a second plant in China this year. BMW, Mercedes-Benz and Audi are all projecting sales records this year on growth in China and recovering spending in the United States. BMW's sales leadership among premium carmakers is being challenged by Audi, which overtook Mercedes as the second largest premium brand by vehicle sales last year. Audi has surpassed BMW in terms of profitability thanks to economies of scale it enjoys with its parent, Volkswagen Group. BMW warned that profitability at its automotive unit may be hit this year as the debt crisis unsettles consumers in Europe and the introduction of new versions of the new 3 series and 1 series boosts sales of the lower-margin models. "Markets and consumers alike remain uneasy about the significant public debt and the euro crisis," Reithofer said. The CEO said auto earnings before interest and taxes would be "at the upper end" of its 8 percent to 10 percent target range. That's down from 11.8 percent in 2011, ahead of the company's forecast for a margin of at least 10 percent. BMW spent 500 million euros in the second half of 2011 to introduce new models. The expenses caused BMW's auto margins to drop below Audi's, which reported a 12.1 percent return on sales. Mercedes, which is spending on a new line of small cars, posted a 9 percent Ebit margin in 2011. BMW expects deliveries in 2012 to rise even as the debt-crisis in Europe makes sales in its home region an "uphill battle," Reithofer said last week at the Geneva motor show. The company projects sales this year to rise by at least 10 percent in China and by a "high single-digit" rate in North America, offsetting a market decline of as much as 5 percent in Europe. 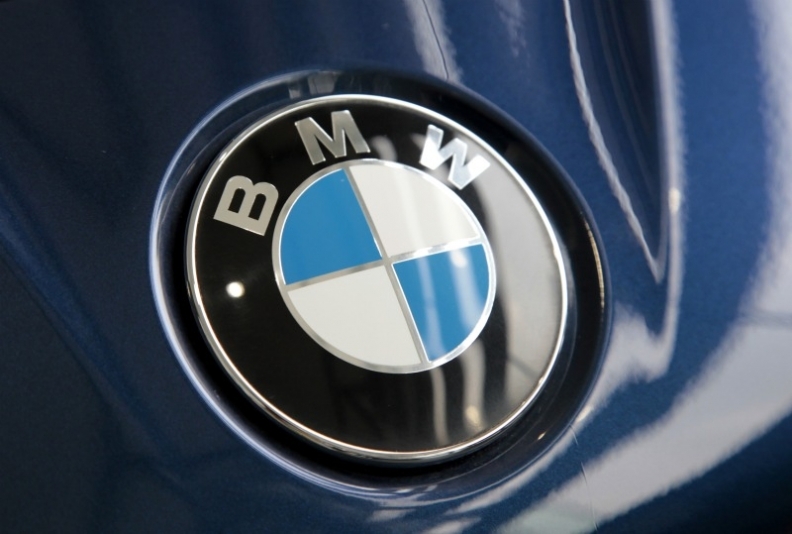 BMW proposed a dividend of 2.30 euros per common share for 2011, an increase from the previous year's 1.30 euros, after net income surged 51 percent to 4.91 billion euros. Reithofer's total compensation for last year rose to 6.16 million euros from 4.3 million euros a year earlier, the company said in its annual report. BMW plans to roll out 12 new and upgraded BMW and Mini models by this summer, Reithofer said. In an effort to lower research costs for developing cleaner technologies such as fuel cells, BMW is in talks with General Motors Co. about a potential cooperation, adding to its existing partnerships with PSA/Peugeot-Citroen and Toyota Motor Corp., Reithofer said on March 6.